Most solar lights should be fine after the snow melts especially those meant to provide year-round light: spotlights, flood lights, most marine/boating lights and solar lamps. As long as neither the fixture or solar panel was damaged by snow removal, they should survive snow, ice and freezing temperatures just fine. So why is the quality of light poor? When the solar panel is covered by snow, little if any energy gets to the rechargeable battery that powers the light at night. If your light has an on/off switch, set it in the “Off position” for 2 full sunny days. At the end of the second day, turn it back on and the lights should be back to normal. If not, inspect the lights for damage. Worst case scenario: solar panels for expensive lights that can be damaged by wind strewn objects, for example, usually can be replaced easily enough. What if the Recharge Doesn’t Work? If the “recharge” doesn’t improve the light’s performance, you may need to replace batteries. (Lithium Ions hold up very well to the cold; NiCAD and NiMH are more vulnerable.) For new batteries, a few days of cold shouldn’t matter. However, if your battery was reaching the end of its natural life, unexpected or long-term cold hasten its demise. If there is no visible damage, you’ve recharged and/or replaced the batteries, there is the chance that moisture inside the lights froze and damaged components. Frankly, this is pretty rare but can happen. If the warranty on the lights is still valid (most items in our store have a one (1)year warranty, others are for 30 or 90 days), call the store and odds are a replacement will be sent. For lights and water features not designed for the cold, check them carefully. While most damage will be obvious (for example delicate glass globes will be broken), some damage may be hidden so check them carefully for small cracks or cracks/damages in areas you can’t easily see. These should have been taken in before freezing temperatures hit, but this isn’t always possible: especially when freak storms hit. We lost a solar lighted glass birdbath in early October during an unusually early dip in temperatures. While the glass bowl was hopelessly destroyed, the solar stake can be re-used next year to hold a different birdbath (glass or metal). With solar water fountains, check the pump and hoses to make sure they are intact. Often, short-term dip in temperatures won’t cause any damage since the water inside may not freeze completely. The two things most likely to be damaged are the tubes/hoses/pipes and the pump itself. Damaged tubing usually is easy to replace: you can find it a store that sells aquarium parts and also at many hardware store/home centers. If you can’t get to one easily, call the store that sold you the item and see if they can supply replacements. Before your call: measure the length of the hose(s) as well as the exterior and interior diameter so that the proper replacements can be ordered. Solar pumps in newer models of water features also can be replaced, allowing you to keep the fountain itself. Again, the store that sold you the original water feature should be able to tell you if a replacement pump is available. The newer the model, the more likely replacements are available. Sometimes, you’ll be able to get a pump specifically designed for your fountain. Other times, by providing the size of the pump, tubing, etc. to the store, a suitable replacement is available. As always, safety first. Don’t try to access a solar light if you need to climb over areas that are still slippery. 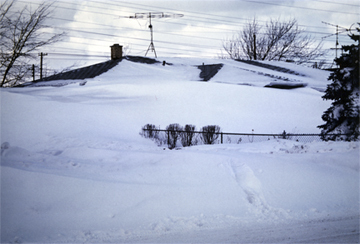 For example, don’t climb on a roof that’s still slippery and don’t use a ladder on icy, snowy or ground that is soggy and soft (which ground often is for a few days after the thaw). No solar light is worth broken limbs or worse. Copyright 2014, SolarLightingSmart.com, All Rights Reserved. This entry was posted in What's New and tagged Batteries, maintaining solar products, seasonal solar tips, solar light, solar lighting, solar lights, water features by SolarLightingSmart. Bookmark the permalink.